Everyone expects Vermonters to wow the world with their maple syrup and cheeses. But lately the buzz has been about the brews. Not that the craft beer movement is anything new to this tiny New England state, which sports the highest number of brewers per capita — roughly 25,030 people per brewery. But lately the attention those brewers have garnered is different. It’s not a hey-they-have-great-beers-in-Vermont. It’s a hey-they-have-the-best-beer-in-the-world. No, really. Hill Farmstead Brewery recently was rated the world’s best brewer on the popular international consumer review website, RateBeer.com. And that has triggered a rush of beer enthusiasm — and enthusiasts — that has bordered on fanaticism. 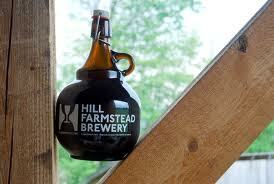 Since Hill Farmstead opened three years ago, beer tourists have been coming from around the world to visit the micro-brewery on a farm off a dirt road in Greensboro to buy growlers and bottles of brewer Shaun Hill’s creations. ‘‘It’s like a cult following,’’ said Ben King, who with his wife Sarah flew up from North Carolina to sample Vermont’s beers. They even rented a car so they could stock it, then make the 13-hour drive home.